Kin-keepers: I see you. People like me: the card-senders and list-writers and picnic-packers of the season. Kin-keeping is all the stuff we do to maintain strong bonds with friends & family. It’s the name given to the invisible raft of tasks that supports the rich social connections required for optimal health. It’s thinking ahead to get the ingredients for your dad’s favourite birthday dinner. It’s remembering to call your mother-in-law on the day of her medical appointment. It’s about making a list and checking it twice. This is often invisible work, but it deserves to be a separate line-item in the imaginary time budget of our lives, but because it tends to morph itself into the general busy-ness of family life (pack the swimming bag, unload the dishwasher, soak the collars) even those of us who facilitate the lion’s share of the kin-keeping underestimate the demand it places on our resources: time, energy, funds. Ideally, kin-keeping is a joy. With a little bit of breathing room about it, a gift for a friend can be a loving creation (I love making smart-arse cross stitches for my significant ladies) and preparing a casserole for an ailing relative can be a lovingkindness meditation. But when time is short and energy is stretched, buying the gift or making the meal can feel more like pressure – even resentment – than love. At this time of the year, when New Zealanders are preparing for the whole world to shut down for a few weeks, with school prizegivings and work dos, let alone a massive feast to cater, it can be really hard to find that breathing room to create a joyful kin-keeping heart. How about this for a cool name: te ahi kā. I am told that this is what the first New Zealanders would have called the person who (quite literally) keeps the home fires burning. There are hunters, there are gatherers, there are gardeners, and there is te ahi kā. I salute your work all the year round, but I especially honour you now, 8 days from Christmas with kids rattling around hereafter. All that food, those bathroom wipe-downs, the gift-wrapping: it all happens in the service of family relationships, and that makes it such noble work. Someone has to keep the meals chugging and the laundry flowing, and I sing a song in your name. Arohanui, keepers of kin, ahi kā ma. Kia Ora Geeks, what’s up? So Little Girl and I started our week with a beautiful visit to the Playcentre in Leithfield. I wanted to follow up with a few links from our conversation there. First: May I say how much I love Playcentre as a movement, a philosophy, and a thing in general. It’s uniquely kiwi, supportive of families (therefore is grounded in Bioecological theories of human development, whoop whoop!) and it is a monument to play. And play rules. That’s that. As I told the lovely Kate, who is writing about the morning for a Playcentre publication, being in a Playcentre makes me proud to be a New Zealander. I also happen to adore Kay Henson, who runs that Monday morning session at Leithfield Playcentre. What a lucky little village. And what lovely, devoted mamas all hanging out that day. I am grateful to have spent some time with you all. I see the way you attend so patiently, selflessly, (exhaustedly!) to your settled, loved, inquisitive children. I see you. This is a good intro to temperament theory, and, to follow on, here is an article about the concept of Goodness of Fit. And this article does a lovely job of explaining Self Regulation and highlights the link between it and Goodness of Fit. Good times! An extension of our temperament conversation led us into talking about Elaine Aron and her Highly Sensitive Person work. Check out more here. A couple of musical links now: first with regards to behaviour. This is Accentuate the Positive, which is more than just a classic tune. It’s also a great strategy for dealing with our families. It’s a behaviour management anthem, about choosing your battles, and celebrating the bits that are going well! The next musical link is a live version of Dixie Chicken by Little Feat, from the year of our Lord, 1977. It’s for Dixie and her mama. What else? Here is a link to learn more about Madga Gerber, this is a book I highly recommend, this is one of the Buddhist inspired parenting books I wouldn’t live without (I chatted with one mama about this), and won’t you please have a peruse of my writing page for many expansions of some of the topics we discussed. Finally, this is a random and cool link from Mothering mag about baby birds and the power of song … ooooh. Speaking of birds, I’m off to give my poorly chook a spa treatment. I wish I was kidding. is jet lag an agent of disregulation, or is it just me? Got back from beautiful Banff yesterday, where I spent a little too much of the remarkable International Symposium for the Neurosequential Model of Therapeutics stumbling about in an overtired state, searching for English Breakfast tea, or fighting back tears. Oh, unless it was one of those moments where I simply succumbed and had a wee cry. Perhaps I could apply Dr Perry’s excellent awareness of biological rhythms and accept that fluffing around with the circadian rhythm of wake/sleep (not to mention leaping across the equator and confusing summer/winter) is bound to create discombobulation. Last week I was lucky enough to hang out with a large group of caring, passionate & wise teachers. An intersectorial party of sorts, with Early Childhood teachers and Primary school teachers all buzzing together in the name of smoothing children’s transition from EC to school. First up, here is a link to the big ol’ report from the Advisory Group on Early Learning, commissioned by the Ministry of Education. It includes the list of “crucial” factors that we unpacked just a wee bit. Next, a lovely one-pager about school readiness from the Royal Children’s Hospital in Melbourne. And a few tangentially linked links. This will take you to an excellent episode from the show “Ideas” from the Canadian Broadcasting Company. It’s about trauma-informed discipline in schools and it does a great job of explaining key concepts we could all do with considering, even though their children are high schoolers. Pop your laptop (or pad, or phone) near you as you fold laundry, make dinner, or do dishes. But don’t drop it in the sink. This link is going to whisk you to the website of Truce Teachers. TRUCE = Teachers Resisting Unhealthy Children’s Entertainment. Ideas for bumping up the amount of free play in children’s lives. Enjoy. Kia Ora geeks! 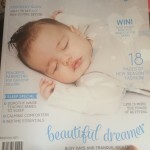 Here is the latest issue from our friends at OHbaby! I am proud of the piece I wrote in there, about quitting, and I enjoyed many other gems, tooski. 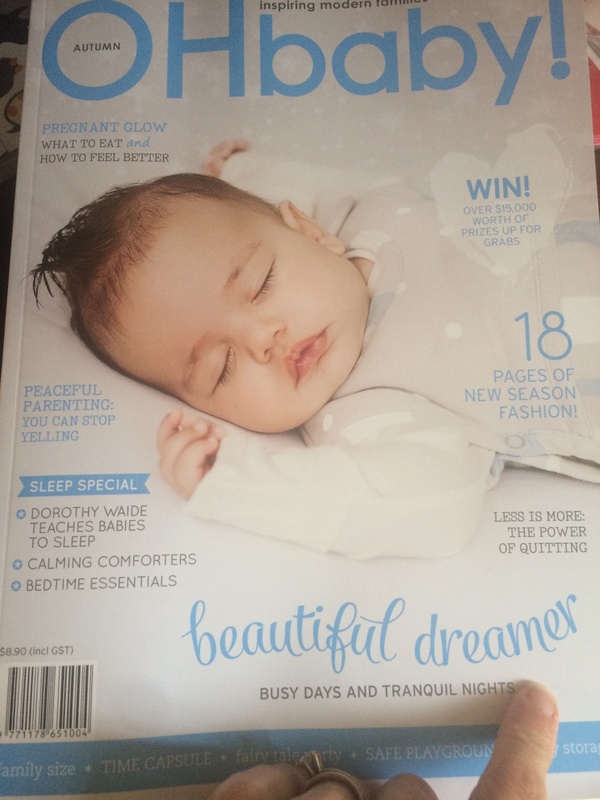 Speaking of OHbaby!, I wrote an article for the Winter 2014 issue, about maternal anger. Just last week, one of the mamas I interviewed at the time sent me this article from the Guardian, about expressing emotions around children. She reckons we were ahead of the curve. How exciting, for a reclusive hermit anti-fashionista! Now let me share these great many links with y’all. From the Campaign for a Commercial Free Childhood, this is a fab resource promising real-life strategies for reducing screen time. Next, because who doesn’t love a good infographic, this is a resource from Zero to Three summarising the impact of poverty on early child development. And from the Child Trauma Academy (I promise not to use the word ‘resource’ again …) is this excellent slide series/video about … well, child trauma. Similarly awesome is this report from the Berry Street whānau in Australia. They do amazing work for children and families and they call on the CTA wisdom to do so. Also from Australia: this news report about a Mother’s milk bank, and this from Scientific American will tell you what wee babies can see that we no longer can. Also from Scientific American: this article describes how the wiring of your brain reveals the real you. Some research and a grunty report now … Here is some open access research about how Mindful Parenting lowers stress in children (frankly I should flippin well hope so!! ), while this research identifies types of humour exhibited by children, and links them to resilience. This report from the USA examines what investments are needed to get kids ready for school. Finally, this from the Independent newspaper tells us what parenting techniques have been used by parents of successful children (*would love to see a definition of what ‘successful’ means) and BOY OH BOY would I love to do some shopping at Kanikani Kids. Tino ataahua enei! You are a dear wee website. You have given me a place to file my thoughts and preserve a gigantic number of links (* or portals to wonderlands of learning and discovery, as I like to think of them). You’re a bit of a secret, though, which is cool, but there is this thing I love to imagine you doing. Just quietly. I love to imagine that you, www.baby.geek.nz, have improbably become a useful launchpad, catapaulting conversations between thinking parents and scattering chat among other assorted family-folk. In a world gone bonkers, only you manage to somehow bring together a pot pourri of links that is JUST SO MY CUP OF TEA. Which shouldn’t surprise me, because I posted every darned last one of them. Beginning with THIS, my very first blog post. Awww, cute. Anyway, I’m obsessing more than usual about these notions of communication and internet and purpose because last week I went to a Social Media 101 training day. Holla, Enterprise North Canterbury! Tumeke, Simplify & Amplify! It’s all very fascinating, and I kinda dig learning about the psychology of marketing, and why people do stuff and how to get them to do the stuff you think they oughta, I am horrified by what my dear late mother would’ve called the Coca-colonisation of the world. The blatant and aggressive enslavement of populations by corporations too slick and sneaky to be outfoxed. Really, I think we should all buy less. Use less. Do more for ourselves. And the whole technology of twitter and facebook and all their chums is flippin amazing. As a tool, it’s the way to find all the peoples who care about the things. Nana over here has to do some work … cos I’d love to find some thinking mamas and I think that’s where they are and yet I FEAR the lure of the devices. Both for myself and for all of us! … here’s the thing …. I’d love it if we could all get the fact that societies of useful adults – that is, adults who are kind, competent, smart, healthy, capable, or at least not incompetent dicks – those sorts of adults are more likely if they were gifted responsive, warm, calm, loving care while they were babies. There. It’s that simple. I said it. Not just me. Heaps of people. Like Harvard’s Center for the Developing Child. Heaps. And you cannot tell me, not even for a second, that the brains of human young will be as effectively nurtured by distracted adults whose faces glow from their device du jour than they will be by an adult available to meet their gaze, respond to their vocalisations, and make up lame songs. Ladies and gentlegeeks, I think we gotta unplug more. For ourselves, and sure as the dickens for our babies. I mean, I’m all for the flow of mindfulness teaching, (at school! Love it.) I am generally very Mindful of Mindfulness, but I can’t help but think we wouldn’t need quite so much mindfulness training if we just spent a wee bit less time skittering between devices and leaping between operating systems. It’s like how we eat tons of fatty food and then obsess about weight loss. I’m talking about us as a culture, not YOU. Or ME. Just all of us, you know? Truly: if we did like Michael Pollan … “eat food, not too much, mostly plants” and then went for walks and did some yoga then VOILA! Wellness. Sorry. I’m a bit didactic and grouchy tonight. I’m angsting. Yeah, I angst about encouraging folks deeper into the digital world and further from the juicy messy deliciousness of real life. And yet I love the handiness of a magical box that sings the commercials of my youth and finds me amazing recipes and connects me to people I love, all over the world. What the flip. Modern life … I need me my online yoga before bed. Love you, Adriene, my electronic friend! Snow all over the ground at my place. Winter wonderland, etc. Let’s get cracking with a variety of juicy links, shall we? First: our chums from the CBC in Canada have a story here about the fun and beauty of a crocheted playground. Enjoy! My three-year-old is currently obsessed with birthing (*specifically, umbilical cords. She keeps asking for hers back …) and she loves nothing more than to watch this amazing video from TED. I know I’ve linked to it before, but here it is again. It’s sensational. Also from TED – this summary of the ACE study, giving more reason for deliberate care of our youngest. This is a write up from the Daily Mail in the UK about the summary of Happiness research completed by the Mayo Clinic. LOVE this. The 5-3-2 thing is revolutionarily simple and deluxe. To contrast, here is a summary from Health.com of some of the worst habits for your mental health. A couple of treasures from Early Childhood Australia now – this one about bringing the benefits of mindfulness to the classroom, and this stunner is from the most excellent Anne Stonehouse about the challenges of documenting learning in ECE. This link will lead you to a piece that considers the ways that bullying from peers can be more damaging than abuse from parents, and meanwhile, here is some writing from Scientific American describing how harsh parenting will likely contribute to anxiety. Sigh. From the good folks at Hand in Hand Parenting comes this little article about Sharing, here’s an article about the super power that comes from being raised in a bilingual home, and a cautionary tale about the potential damage from cellphones being more intense for children. From Slate now: a piece about how doing good unto others will bring benefits onto ONESELF. Bonus! And FINALLY … the Washington Post bring us the data around how the top few hedge fund managers (*which I’m pretty sure has nothing to do with topiary) earn more than all the kindergarten teachers in the US combined. We live in crazy, beautiful, messed up times. My kid is 3. Yes, I’m on maternity leave. Still. Any questions? I have had a baffling few weeks as a baby geek and a toddler person and an educator and a mama and a professional and a slave(!). Long and short of it: we (people who are kaiako/educators for the Brainwave Trust) had been invited to update our profiles on the website. I got a snazzy new photo and was keen to rejig the text, which boldly stated that I was on maternity leave, caring for the child born in 2012. And I’m glad to. Happy to. Privileged to. Proud to! So why was my motivation in updating said profile the removal of those words? Just what it is it about being a FULL TIME STAY AT HOME MOTHER that made me want to massage that truth and call it something else? Cos yeah, freelance writer. And yeah, doing postgrad study. But oh, HELL yeah – I’m a mother. I’m the keeper of the castle and I care for my kids. So why, even amidst the most pro-family and child friendly of colleagues, do I find it necessary to deny that title? Full time parent. That’s me. Yes, three years on. Yes, at least until she starts school. So there. But I chickened out. Not only rejigged text but made the decision to pull my profile down altogether, cos it’s gonna be years until I can offer to help anyone! But quick, before it gets removed, check out my fancy new photo! That’s not all. I had a gig booked, my first for ages. I was thoroughly looking forward to it, had learned new tricks in Keynote. Great client, juicy content. Lovin’ life. But then, little girl was sick. Little girl was sick and husband was not in a position to cancel his life. So guess what? I canceled. Gutting for me, but the right thing to do. Cos when you’re three years old with a raging temperature and strep throat, what you need is your mum. Quickly now, cos it’s what we do on this website, I will now throw a variety of links into your lap: THIS is Kids in the House, which is a parenting website like no other! Enjoy. I’d love to share this excellent bit o’ writing from Mothering about a new mother’s body belonging to HER. And it’s been a while since I sent y’all to this glorious collection, but this is a variety of Policy Briefs from the Royal Children’s Hospital in Melbourne. It’s fab. Now here’s an interesting piece about infant temperament and culture, and here is a website from Arizona all about their initiatives to support family. Next, a gift for new families about settling babies. Yum. Compare structured parenting with Free Range parenting here, and here is a very good thang from the Huffington Post about the power of home visiting programmes for changing outcomes for kids in poverty. Finally, it may or it might not be the best kindergarten you’ve ever seen, but this is an inspiring TED talk all the same. Big shout out of thanks and support to Jo, who organised the workshop I had to cancel, to brother Nate for always listening, and also to Pennie, who continues to be so flippin supportive of me, at home with my kids. Biiiiiiig week for this geek, had three days of lectures @ university, lucky to have a willing and able parent to step into grandparenting. My dad. My kids. My heart is full. In all honesty, all that was helped along by my having packed nutritious lunchboxes the night before, and by loading the crock pot with healthy goodness the morning of. It’s that invisible stuff that goes unnoticed all too often, and this is why I am giving my trumpet a minor toot. The invisible stuff of parenting is what I yearn to make visible – this is a big reason for my public adoration of Naomi Stadlen and her ‘mothers talking’ work. If you’ve never read What Mothers Do or How Mothers Love I just reckon you oughta. But then there is an aspect of parenting made visible that clearly rankles … the insistence from mothers of grown children that any acknowledgement of the struggles of daily life with young children is something resembling failure. Last year I linked y’all to this great blog post on Momastery, and just this past week my pal shared this similar sentiment from the Boganette blog. For onlookers to rush to the “your babies are blessings now just be grateful” angle is MOST unhelpful. It denies the validity of mama’s emotions in the here and now. It denies the reality of life in the here and now (parenting can be bloody hard! AND it flies in the face of what we understand from the worlds of neurobiology, psychotherapy and decent humanity … accept what someone is feeling. Just let them have that feeling. Toddler, friend, adolescent, man, woman, whoever. Feeling something. So there. OH! How timely … This is one of the gifts from my university experience last week – brief Youtube clip about empathy that I reckon you’ll love. Quick link dump then I gotta go cos offspring are plotting rebellion (in party hats). This is from the Washington Post about the culture of caesarian in the USA, here is a paper about infant circumcision and human rights (which I’m not sure I agree with), and I wrote this a while back but had cause to find it again last week and I reckon it’s still relevant. If the weather cooperates, we’ll be off to see Te Matatini kapa haka festival tomorrow. See you there. Smooch! I have always found Friday afternoons to be a bit special. Even in motherhood, where there ain’t no 9-5, even during our summer holidays, where there is barely a Monday-Friday distinction. I still love a bit of Friday afternoon. I am listening to some sweet fiddle music and basking in what is sort of my last weekend before i return to thinking about things other than family: actually feeling really excited to be participating in the super cool online conference for The Confident Mother in the UK (thanks be to Sherry Bevan for coordinating!). It’s free! And there will be many interesting opportunities to engage with a variety of people who spend time thinking about family life and motherhood. EXCITED. More found here. Could just about wee my pants with excitement that I am registered to hear Dr. Rick Hanson speak when he comes to my neck o’ the woods! Listen to an interview with him here. 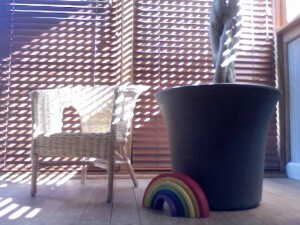 So in honour of the new baby Annie born in the Canadian winter, I sign off with best wishes from a warm Kiwi Vendredi.